Purchasing a nursing textbook with required, additional materials can be costly at times. Realizing that students might be hard pressed to afford the extras that come with certain books and existing programs on the market, the Hope College nursing department decided to look for a cheaper way to provide a more basic but meaningful version of those educational necessities. And they walked right across Hope’s Van Andel Plaza, located between the Schaap Science Center and VanderWerf Hall, to find their answer. 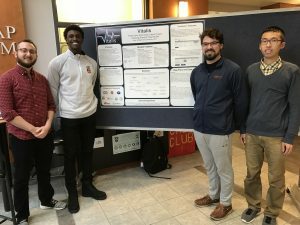 A new computer software program has been developed by two faculty members and four students of the Hope College computer science department, housed in VanderWerf, to allow the tracking and simulation of electronic medical records by students and faculty in the Hope College nursing department in lab experiences in Schaap. The digital platform, Vitalis, is the result. 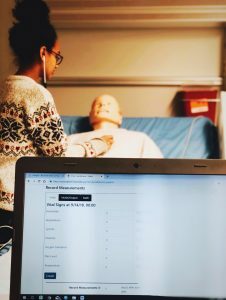 It simulates professional medical record-taking methods and aesthetics for Hope nursing students so that “real-world” experience can be realized at little cost. In teaming up, the two departments created an educational experience that was mutually beneficial for students studying both majors. 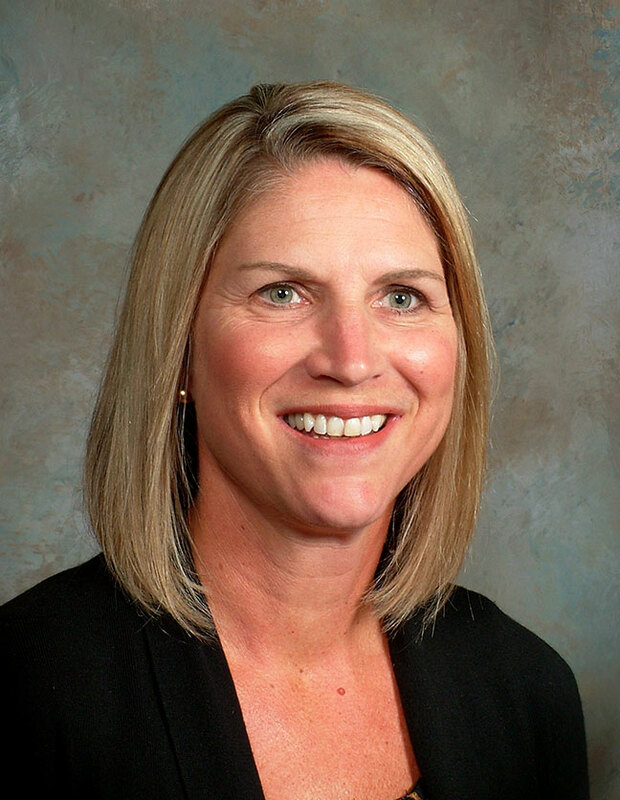 With prices for books and other expenses rising every year, Dr. Vicki Voskuil, assistant professor of nursing, and Trish Kragt, director of nursing laboratories, had been searching for some time for a way to mimic digital medical records for their lab courses in a cost-effective way. 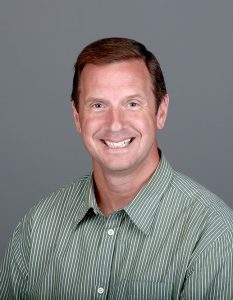 “We recognized the need within the last two or three years that while they [the students] have been doing narrative documentation in our classes, they really needed the computer piece to be able to electronically record [for the agencies],” Voskuil says. The software development project was advertised to computer science students as one of the summer opportunities available in the computer science department’s Hope Software Institute. HSI provides rich, real-world software development experience to students interested in pursuing a career in industry as software developers. Three Hope students — senior Phil Caris, senior Dennis Towns and junior Jori Gelbaugh — were selected in the summer of 2018 to work alongside Dr. Ryan McFall and Dr. Michael Jipping, both professors of computer science at Hope. The computer science students on the project recognized the privilege they had working with the faculty and used it as a growing, developing, and learning experience. 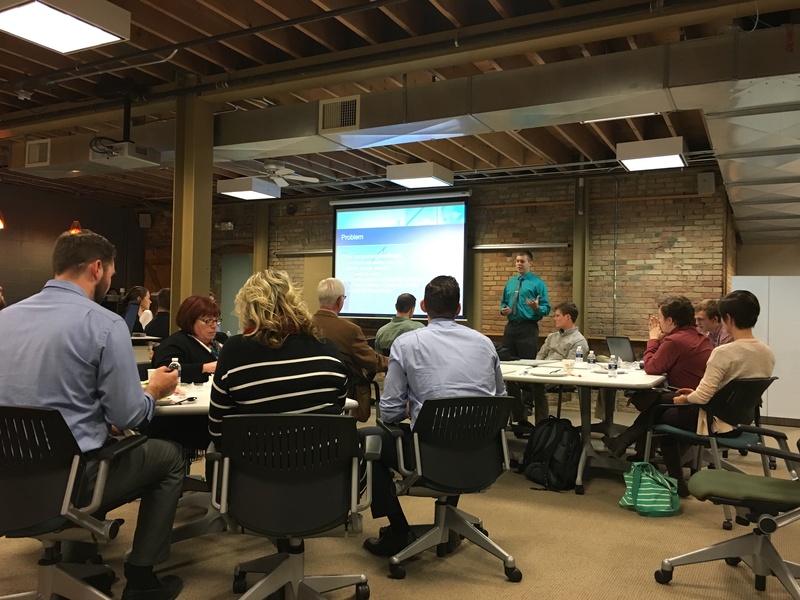 “It was my first time creating software that wasn’t in the classroom setting and interfacing with clients (the nursing department) gauging out what they want with those first initial steps of planning where you learn how the process usually starts,” Towns said. Not only was Vitalis a learning curve for students but also for the faculty leading the project. “Honestly, the technology we chose I didn’t really know either, and I took it as an opportunity to learn that as well,” says McFall. The computer science students on the project recognized the privilege they had working with the faculty and used it as a growing, developing, and learning experience. 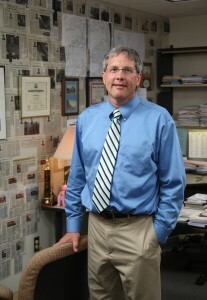 “It helped a lot to see [Dr. McFall] who we all look up to, who is very clearly a lot smarter than us, struggling sometimes. [We realized] he doesn’t always know everything and that knocked us down a peg, too,” Caris said. Sophomore nursing student Johanna Emmanuel takes vital on a clinical mannequin and records them using Vitalis. The heft and complexity of it all meant Vitalis got created, tested, and recreated often. Every two weeks, those working on the project would meet with Voskuil and Kragt and others in the nursing department to hear critiques, suggestions as well as approvals. In these meetings, both departments had trouble communicating about the content required on both ends because of the jargon used on either side of the project. In the end, the two groups were able to bridge their communication gap by finding ways to share terminology. Summer 2018 has come and gone, but the project is a continuous work in progress. In fall 2018, the project was handed off to a group of capstone students. Caris and Towns were able to continue on with additional teammates, senior Haoming Zhang and senior Dane Linsky. In spring of 2019, the project is still evolving and improving. “One of the reasons we like these projects is because it’s what most people who are developing software have to do once they get out of college,” said McFall. 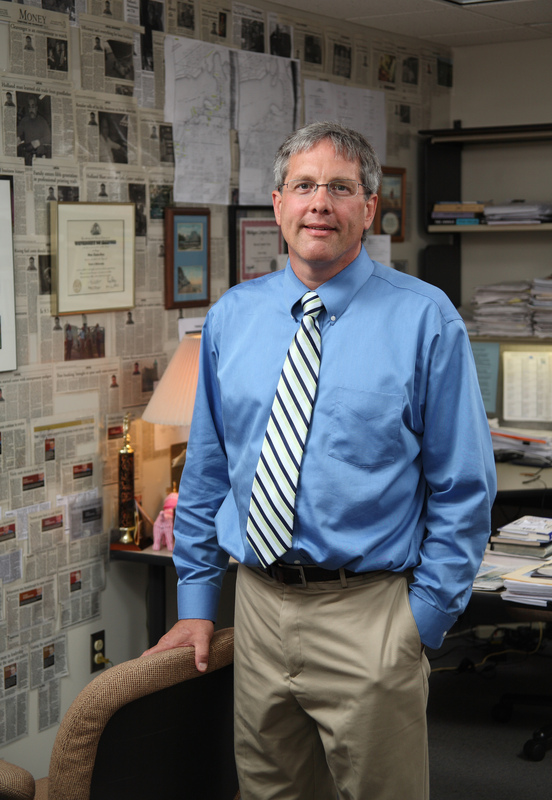 “It’s been applicable for every job I’ve been called in to interview for,” Phil Caris said. Overall, the students and faculty from both departments agreed that developing Vitalis was a positive and beneficial experience. “It’s been applicable for every job I’ve been called in to interview for,” Caris said. These programs truly do create an experience for the student, preparing them for their “real world” opportunities. “It was good to experience the workflow of a regular software development process,” said Zhang. From the nursing department’s perspective, programming with the computer science department is only the beginning of a resourceful partnership. With medical records almost strictly digitized, the need for college nursing software has become vital. A unique and collaborative partnership between Spectrum Health Innovations (SHI) in Grand Rapids and Hope College’s Center for Faithful Leadership (CFL) is providing opportunities for both parties to glean the benefits that any good partnership seeks to achieve: combining ideas and labor toward reaching desired outcomes. For professionals at SHI, the objective is to create technically-feasible and market-desirable health care products that meet the needs of patients and clinicians alike. For students at Hope, the goals are leadership development and experiential learning. It’s proving to be a win-win association. CFL students and mentors and SHI ideators and project managers have been working together since 2014 to create better health-care services in interdisciplinary ways. It is this convergence of teaching, learning, innovation, and scholarship that makes CFL and SHI perfect partners. SHI provides the ideas and technical input; CFL students provide the labor and processes to idea validation. To date, more than 70 students with majors in accounting, communication, management, philosophy, engineering, religion and computer science have tackled 10 challenges. The most recent include a schedule software project, a neonatal ETT (Endo-Tracheal Tube) holder project, and a device to load a wheelchair into the trunk of car. Each melds multiple perspectives and breaks down disciplinary boundaries—a demolishing of silos, if you will, that results in these partners doing work on one big idea farm. The scheduling software project is headed up by Ben Schipper, a communication major and 2015 December Hope grad. Schipper and 12 others—professionals from SHI, CFL mentor Jim Cnossen, along with economics and computer science students—are working to eliminate the time demands associated with manually scheduling patients for numerous specialist appointments for in-patient rehabilitation. Department managers are currently spending hours using an old-school spreadsheet methodology to schedule patients’ therapies, but the new software will automatically generate a patient’s schedule instead. The goal of its creation is to save valuable staff time, time that could be spent otherwise caring for Spectrum Health patients. Numerous months, meetings, and program iterations later, with assistance from Dr. Ryan McFall of Hope’s computer science department, Schipper and his team are close to auditioning a finished product within the next several weeks. Meanwhile, the neonatal ETT holder team, with assistance from Dr. Roger Veldman of Hope’s engineering department, hopes to debut a prototype by the end of this semester while the wheelchair-loading device team just got started on customer discovery research. Hope is one of four colleges and universities in the region that partner with SHI. Each semester, VanderVeen meets with SHI leaders to determine if CFL will renew or exit the partnership. To each partners’ delight, the computer science and engineering departments have become directly involved with SHI, too. While many projects fail to move from idea to finished solution—supporting the statistic that less than 10% of all new notions actually see a validated end—the CFL-SHI partnership provides a 100% great experience rate for all parties involved.